14K said that the stall owners are rude, throwing vulgarities at its patrons. The stall opens at 6.30am and usually finishes selling the lor mee at 10am. Go early. What I mean when I say I half-lied is although this isn’t the best lor mee I’ve eaten, it is the best lor mee I’ve eaten. 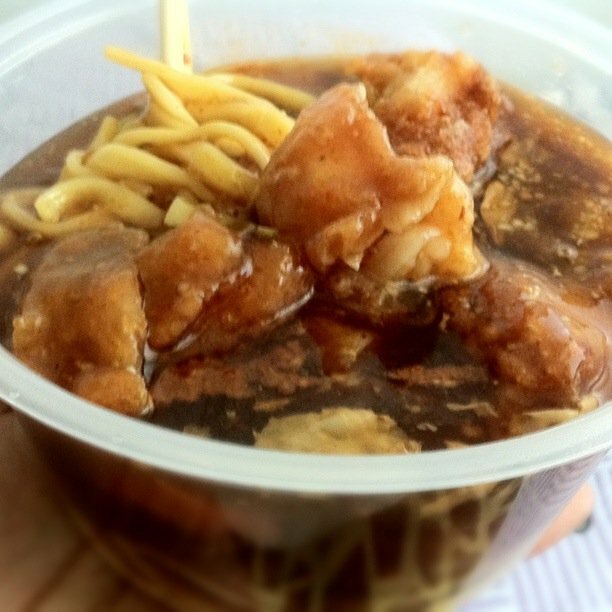 There are two lor mee that never fail me – bukit purmei lor me and old airport road lor mee. The one at the telok blangah crescent food centre comes a close 2nd.